Elizabeth Taylor is a writer I admire greatly. 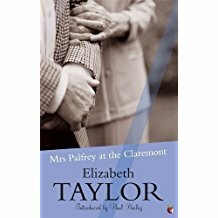 Mrs Palfrey at the Claremont (1971) is one of her late novels and it is about an elderly lady (and lady is the right word) who arrives at the Claremont, a residential hotel in Kensington, hoping to make a life for herself there after the death of her husband. Taylor went and stayed in such a hotel in order to get the details right and how wonderfully she depicts the routine and the little pleasures its residents cling to, their petty slights and alliances, their hopes and fears. Are there such hotels, populated by lonely old people, these days? I somehow doubt it. Mrs Palfrey is a redoubtable woman who, after a strenuous life in the colonies with her husband, is neglected by an unsympathetic daughter in Scotland and a grandson in London who fails to visit. When chance brings the handsome young Ludo into her life, she finds herself pretending that he is her grandson to increase her prestige in the hotel. A well-off old lady and an attractive young man: in the hands of a lesser writer, we can guess how this would go. What does happen is far more interesting than that. 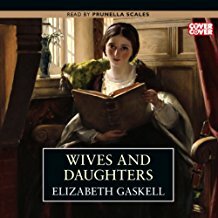 I hope I have whetted your appetite for this excellent writer, if you don’t already know her work.